This year’s 712-mile Larry H. Miller Tour of Utah will feature 16 Utah Office of Tourism King of the Mountain (KOM) climbs and 15 Utah Sports Commission Sprint lines. With 51,442 feet of elevation gain over the seven days of racing, Aug. 3-9, this year’s Tour of Utah features the most climbing of any UCI stage race in North America, solidifying the event as “America’s Toughest Stage RaceTM.” Detailed maps and course videos have been published for the 2015 Tour of Utah, and can be viewed at tourofutah.com. A world-class, 16-team field of professional men’s teams will be tested with the second-most number of KOM climbs in the 11-year history of the Tour of Utah. Fresh territory will be offered for new KOMs on three stages – – Stage 1 presented by Smith’s, Stage 3 presented by Zions Bank, and Stage 4 presented by Subaru. The Utah Office of Tourism KOM at Logan Canyon reaches 7,700 feet above sea level and will be crested from both sides on Stage 1. It is a Category 3 climb on the first ascent with 100 miles to go in the 132-mile stage, and a Category 2 climb with 36 miles to the finish. The two nine-mile finishing circuits on Stage 3 include a deceivingly steep pitch on Bountiful Boulevard, known as the Bountiful Bench. The Utah Office of Tourism KOM points will be awarded on each of two passes of the Bountiful Temple, a Category 3 climb. Stage 4 offers two new climbs in Wasatch and Duchesne counties. Daniels Summit, a Category 4 climb, reaches 8,005 feet, and Wolf Creek Pass is a 10-mile, Category 2 climb in the Uinta National Forest that reaches 9,495 feet. The Utah Sports Commission, which is a founding partner of the Tour, returns as the presenting sponsor for 15 sprint lines along the course. This is the highest number of intermediate sprint locations in the Tour’s 11-year history, with seven new venues along the route — Brigham City, Garden City, Hanna, Hooper, Tremonton, Woodland, and the state line into Idaho. The Larry H. Miller Tour of Utah has been elevated to a 2.HC rating by the Union Cyclist Internationale (UCI), one of only three such multi-day races in North America. 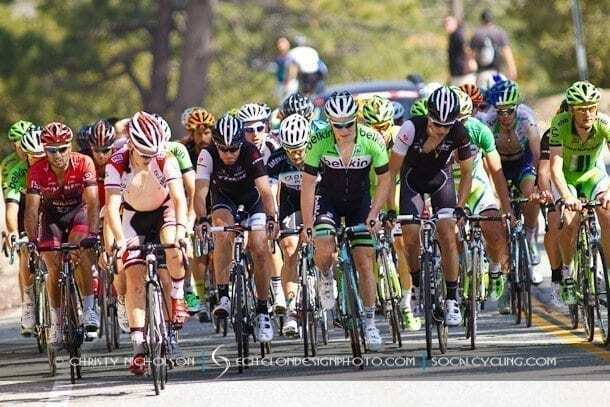 This year’s Tour of Utah will continue as the first internationally-sanctioned cycling competition in North America for men following the Tour de France.